On My YouTube Channel App Maker: Create a Channel App, you can turn your YouTube channel into an Android/iOS application by a click of a button, simply by putting your channel's name. Give your YouTube channel a brand value, more views, subscribers, and virality through a personalized YouTube application. It helps you to add another stream for monetizing your YouTube videos along with AdSense and play store/app store and helps in boosting your income through YouTube immensely. Without any coding knowledge, you can build your own YouTube video application with this App Maker tool, all you have to do is give your channel information while signing up, chose from a wide range of layouts, graphics, and themes for your application and launch it. This is an app which creates apps for your YouTube channel. 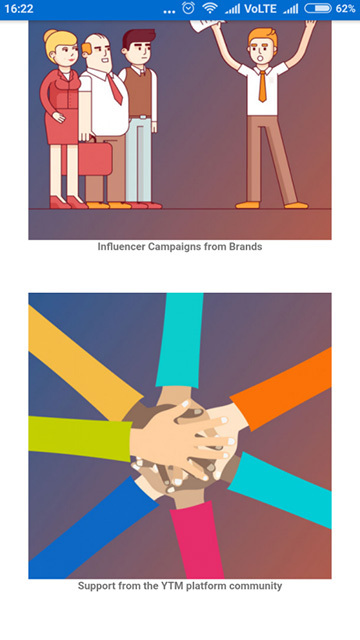 Earning more on YouTube beyond Adsense cannot get easier than when you partner with big brands for Affiliate and Influencer marketing campaigns. No matter if your channel is big, small or still a beginner, we have a solution for every kind. Explore expert guidance on making viral content and tips with a pool of helpful content and a support community to seek after to solve all your issues. 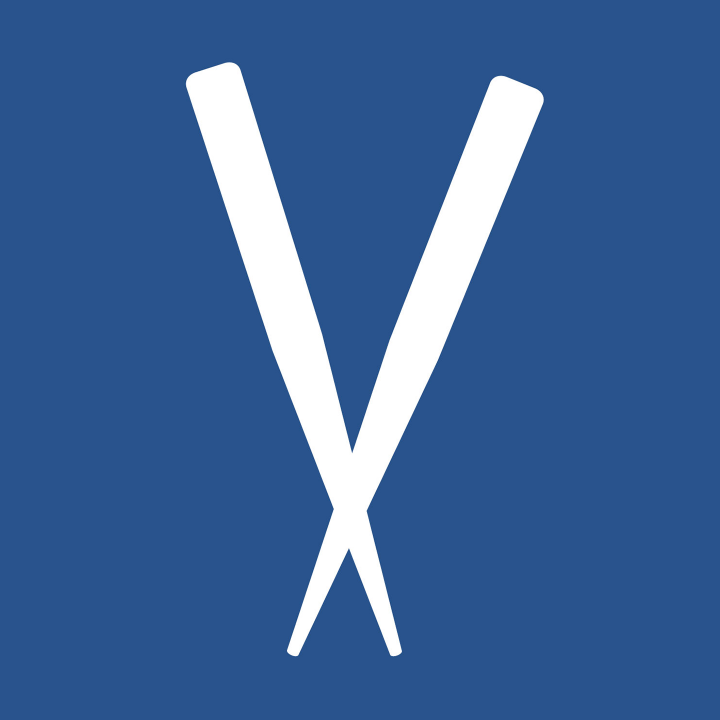 This app offers a host of effective channels to advertise and distribute your content on highly targeted audience based on our intelligent interest profiling, on its wide internal and affiliate networks of channels, ViralBao community, subscribers, ad partners, app networks, video and blog networks, content subscribers etc. You get all this at one place on ViralBao platform by signing up for free which helps you in earning maximum from a YouTube channel. My YouTube channel app maker offers best in class services to make your YouTube channel to the top with the help of latest trends and tools. We offer The App maker Platform, where you can create a free customized application for your channel without any coding pre-requisites. Expand your reach on YouTube to gain maximum subscribers, views, and shares for your channel by amazing your viewers with a stunning application exclusively to showcase all your videos. You have a great running YouTube channel with tons of fans and views, making you great money for the awesome video content that you have created. But you are leaving money on the table - the same videos on your channel can produce a lot more money for you when you harness new revenue stream and new user base to reach out to new audience independent from YouTube channel. 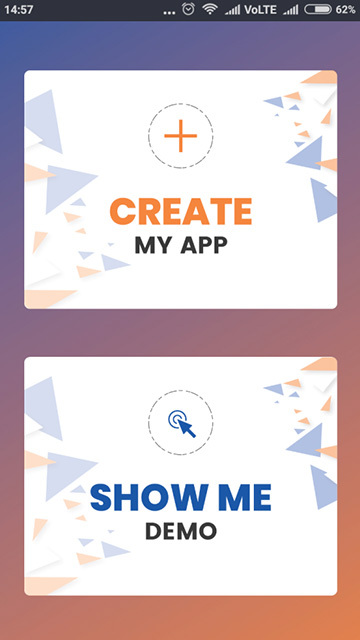 The app maker platform does exactly that by helping you create apps for your YouTube channel and get you started with apps that your users can download and make additional views for you. And they would love you for that and be more loyal, less likely to churn than your current shared visibility on YouTube. Through My YouTube channel App maker you can get subscribers & views for your channel with our communities & app marketing partners on our network. Make an impression on your fans and viewers and show them how ahead you are of other YouTubers. You get word of mouth publicity for your YouTube channel and more views and likes with this brand new way of YouTubing. We all know how generously sponsors pay just to promote their brands on your YouTube channel but the only problem is to find such good sponsorships who can help you earn. So through My YouTube channel app maker, you can get sponsorships & promotional tie-ups from Top Brands for influencer marketing and affiliate campaigns. People are earning more than movie stars and earning more fame and name through their YouTube channel just by monetizing their YouTube channel the right and best possible way. Now can also earn from your YouTube channel and monetize it the right way through our app platform. Get Free apps for your YouTube channel with absolute ease, to start a new money making revenue stream. Most of the people have the talent but don't have the information on how to start a YouTube channel, promote it and how to earn from YouTube channel. 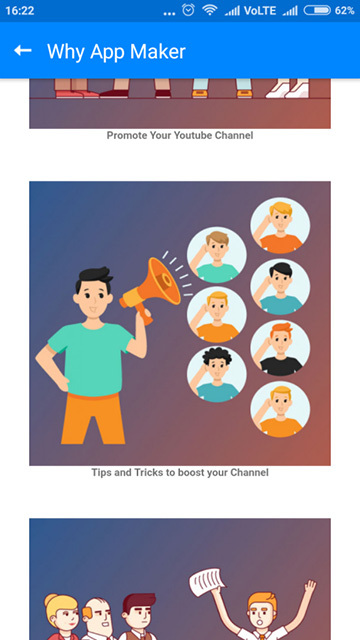 Hence, on the YouTube channel app maker platform, we provide you with the most effective & rewarding ways to monetize and boost your channel with expert tips that make the bang. Start your own YouTube channel with expert advice and information. 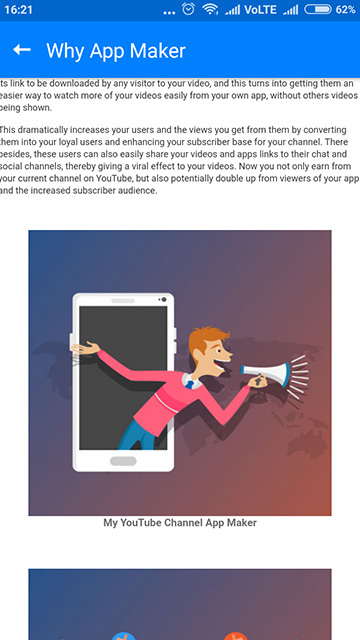 Discover breakthrough solutions and the latest trends in the social world on this app which not only will help you earn money on YouTube but will help you connect with your fans better and expand your reach in terms of popularity. Work on the basics of the right ways of producing content that your users would love the best approaches for your YouTube channel. You sure can gain many a million worths of advice from these folks. They are here to provide you with feedback and support for your queries based on their real-time experiences in working over the same issues. Sign up with your channel name and stay educated and stay ahead on YouTube. Learn from the industry experts on ViralBao Platform on how to act and work like a pro to rule YouTube. Make the most out of your YouTube channel by taking part in the Influencer campaigns by the biggest brands on YouTube channel app maker Platform. Get hired by all the top brands seeking the YouTube creator full of energy, creativity and the power to influence the online audience into buying the products. 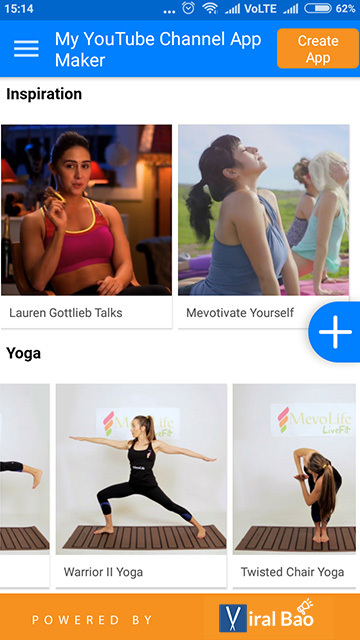 This app is a perfect place to find the top-notch brands looking for Influencer Marketing Campaigns to be run on YouTube Videos by reasonably successful YouTube Channel owners like you. Remember we talked about how we help spread the information among people about how to use YouTube to earn more and how to use it properly to start YouTube monetization? Our wide section of blogs is just the right place to find the latest trends on YouTube, helpful tutorials on every YouTube subject like Adsense, Affiliate marketing, Influencer marketing, promotion guide, tips, tricks and much more when you sign up for free. What good can a product be if it does not come with good service and support section? In YouTube App Maker we have the best and experienced team which will help you with any problem that you might face during creating, publish or using your YouTube channel App. 1. How to create an app on My YouTube app maker? You can easily create your own YouTube channel app, by selecting the "Create App" option on the top. Just enter your channel name and select it and launch it. This is all that you have to do to create your very own YouTube channel app to start promoting your YouTube channel app, you can also customize your app through our featured plans. After creating your app, all you left to do is to publish it and you are good to share your app with everyone. 2. How to customize my YouTube channel app? You can choose from a variety of customizations for your app, by selecting the customize option the left menu if your App. You can choose more layouts, styles, colors, backgrounds and much more on our featured plans. 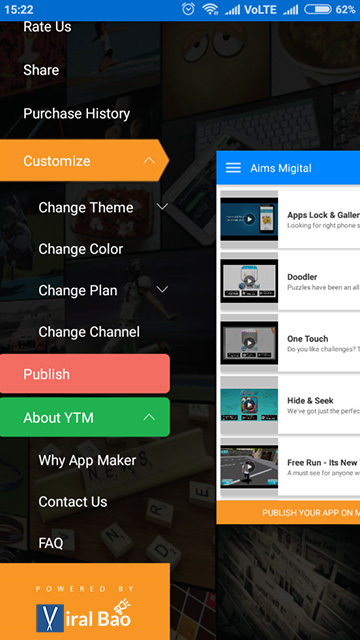 You can customize your app whichever way you want through My YouTube Channel App Maker. 3. How to publish my App? After creating the app and launching it you can easily publish it in one step by clicking the "publish app" button. Then select the plan that would like to have for your YouTube channel app and authenticate your channel. This is how you can easily publish your app and start getting brand sponsorships for your YouTube channel. 4. How to take a demo of the My YouTube Channel App Maker app? 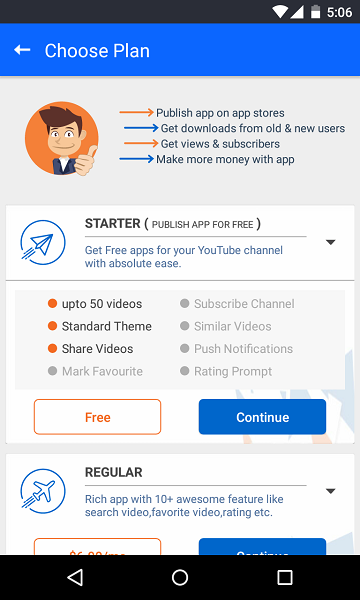 We have the feature of Demo Survey through which you can easily understand how you can use this app to create your own YouTube channel app and start promoting it and avail all the exciting features this app offers. Select the "Demo app" when your app launches to understand the working and flow of the app. 5. What happens after I purchase the subscription to the App? After you subscribe to the paid promotion we'll promote your channel, complete app functionalities will be available to you for more customizations. Since our free plan has limited number of functionalities, you will be able to use all features once you purchase the subscription of the app. 6. How will I get paid using this app? Based on your subscribers and number of viewers we will recommend the best brands and sponsors for your YouTube channel who will pay you for the promotion of their brand on your YouTube channel. 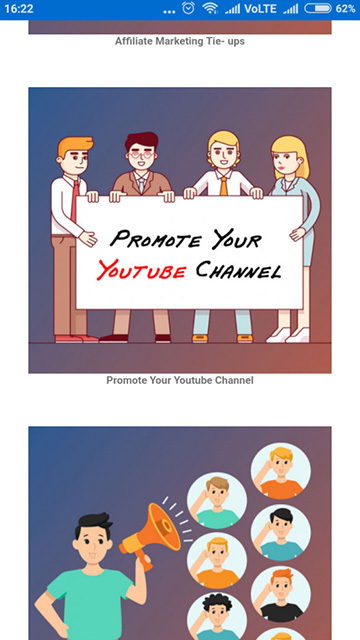 It is as easy as that, all you have to do is keep creating awesome videos and keep promoting them to get more likes and views on your YouTube channel. 7. How to share my app with my friends and fans? 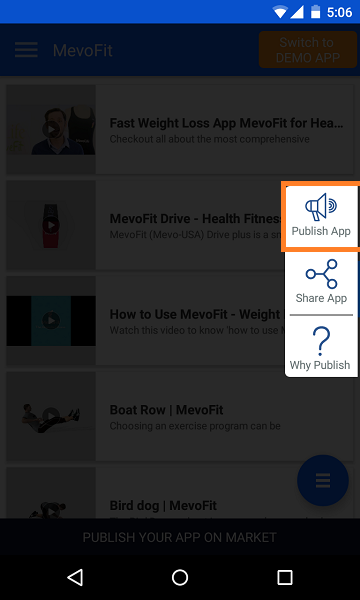 You can share your own YouTube channel app with anyone after creating and publishing your app. 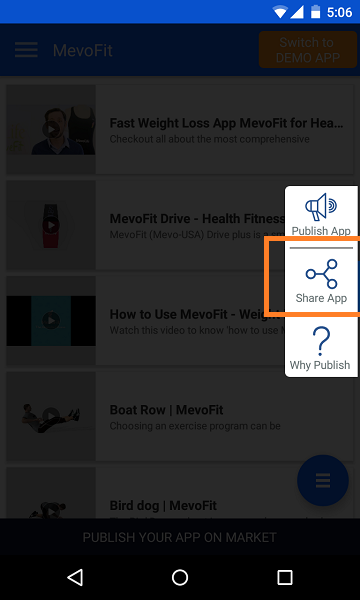 Click on the "+" button the right side of your app and select "share app" option from there. 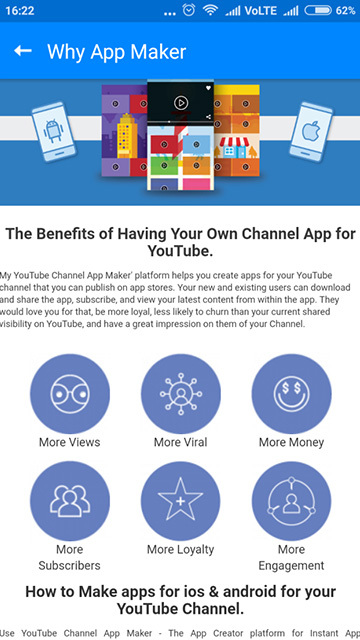 Share your app as much as you can to get more viewership for your YouTube channel. Remember the more viewership you get for your YouTube channel, the more you will be able to earn from your YouTube channel. 8. How to contact if I face any problem while using my app? We have a full technical team for your help available all the time. 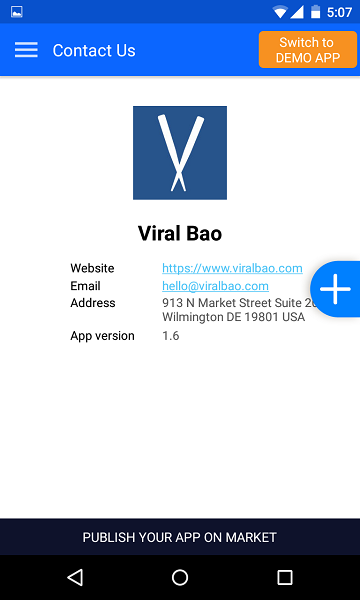 If you face any difficulty in using our app, you can contact us at hello@viralbao.com or you can visit our site https://www.viralbao.com for further information on any topic. Give us a chance to help us serve you better by dropping your mail anytime and we will get back to you. 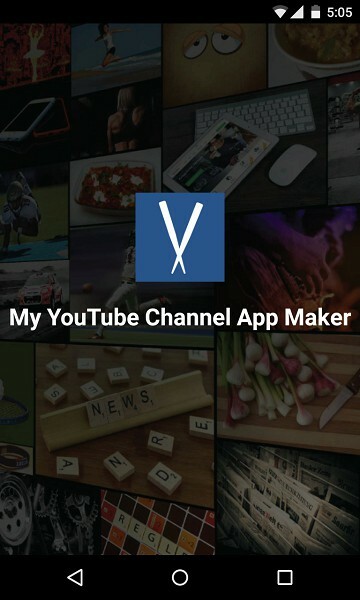 On My YouTube channel App maker app, you can turn your YouTube channel into an Android/iOS application with a click of a button, simply by putting your channel's name and monetize your YouTube channel. Give your YouTube channel a brand value, more views, subscribers, and popularity through a personalized YouTube application. 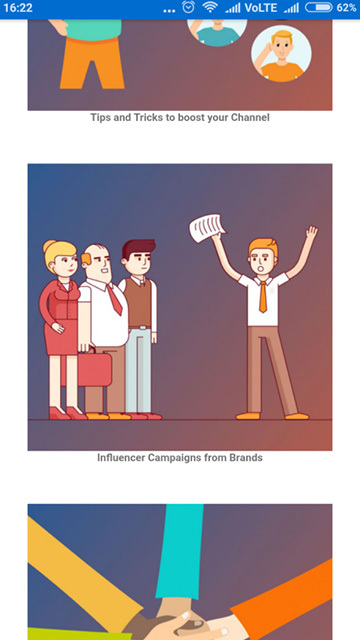 You can get affiliate, influencer marketing campaigns to earn from YouTube and tips on how to promote YouTube channel. Want some more useful Entertainment Apps? Try Mobile Lighter App for your Android/Apple phone now.